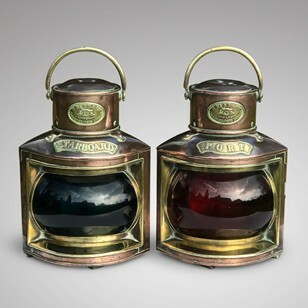 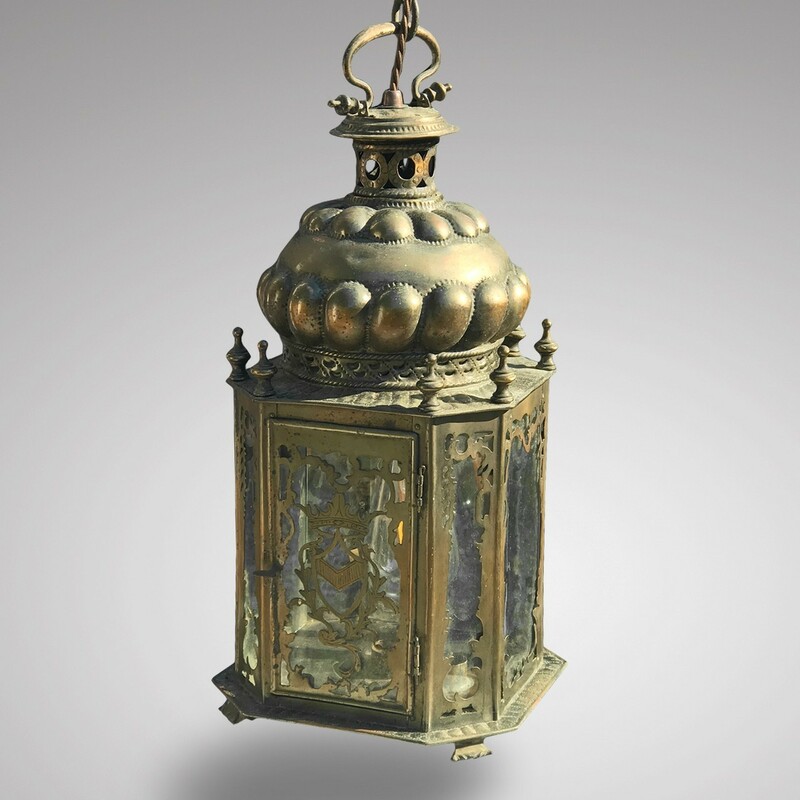 A distinctive 19th Century metal octagonal hall lantern, the original glass panels decoratively framed, the opening hinged door has attractive metal fretwork. 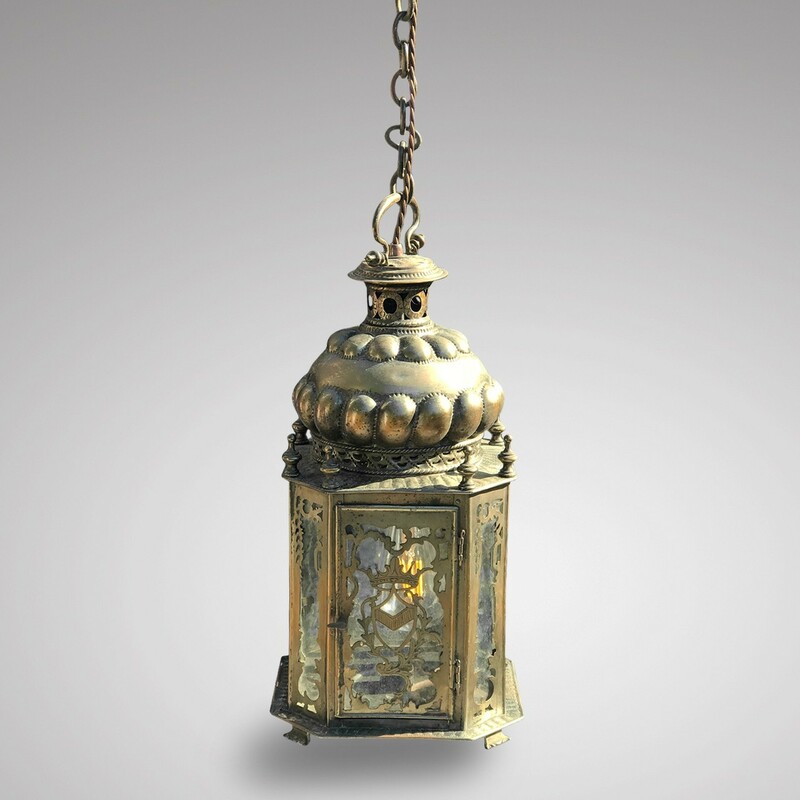 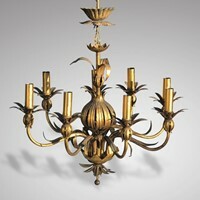 The lantern is suspended from a drop handle by a substantial chain, above a pierced chimney. 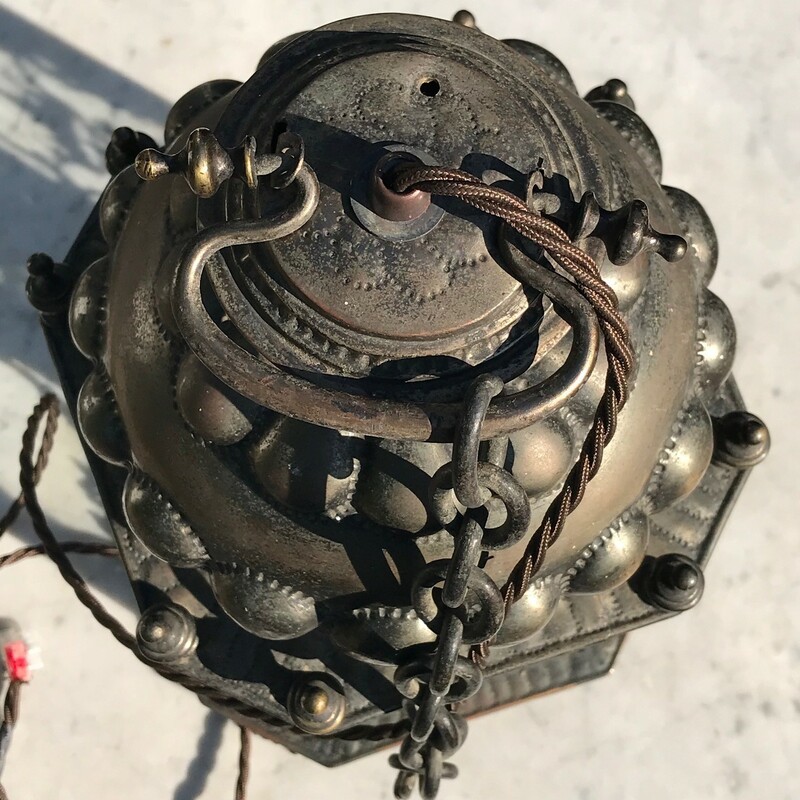 The condition is good, the lantern has been professionally converted to electricity and carries a PAT certificate.